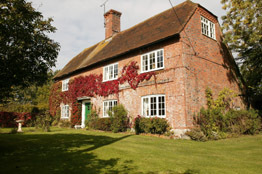 Holiday Farmhouse in Kent, England. 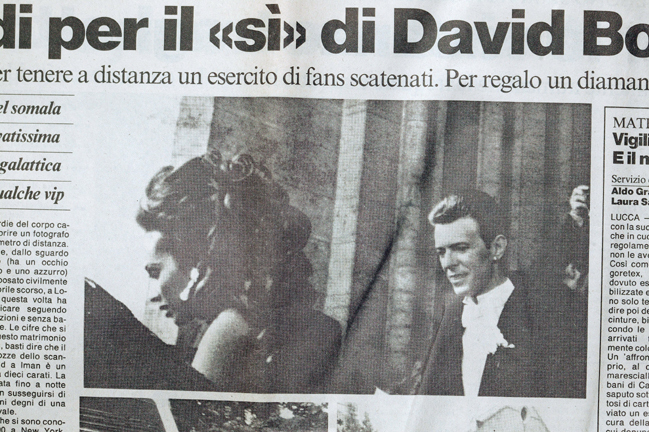 I was fortunate enough to be Brian Aris' assistant at the wedding of David Bowie and Iman in Florence, Italy in 1992. I was assigned to the 3 day trip travelling to Florence not knowing what the job entailed until we got on the plane. No social media or camera phones in those days to guess rumours what the assignment was. We landed in Florence with all the equipment and customs insisted everything was x rayed including the film, Brian was not happy as it is not advisable to x ray film. 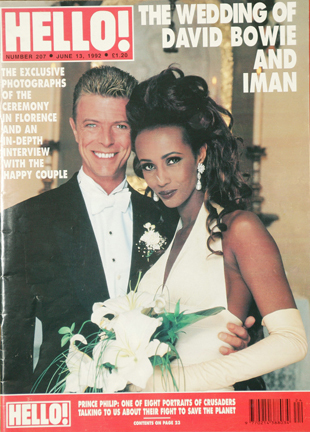 We arrived at the hotel which David and Iman had completely hired out with other wedding guests staying there. Brian requested we check the film by taking some pictures and having it processed locally. Keeping the results from Brian, the night before the wedding we slid coloured warm up gels into the 120 transparency film sheets to give the impression that the film was significantly affected by the x rays. Brian flipped but the joke was immediately exposed. 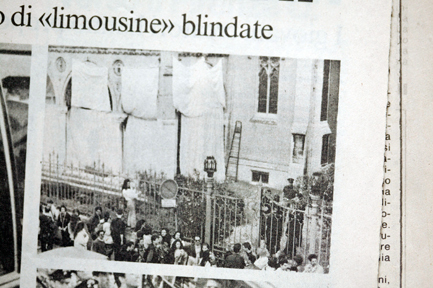 The morning of the wedding we were required to cover the church with bed sheets from the hotel which looked appalling, this was to protect any paparazzi pictures leaking to the press as the deal was exclusive to Hello Magazine. One picture managed to get out which Brian was very concerned about but fortunately it only reached the local newspaper. It was probably snapped by a security guard after the ceremony outside the church inside where the bed sheets that were hanging, Brian was extremely concerned about paparazzi pictures being taken, even at the hotel the day before we would flank David and Iman with large unfolding reflectors as they walked between buildings in the grounds of the hotel. 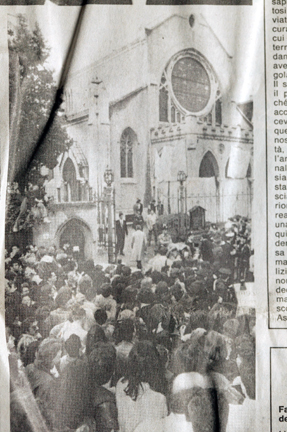 I was on the coach with Yoko Ono, Bianca Jagger and Eric Idle who were travelling from the hotel to the church. I also worked with Brian Aris photographing David Bowie with Tin Machine in Ireland. Tom Cruise arrived just as the shoot finished to jam with David Bowie. 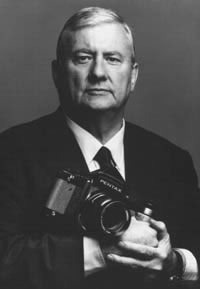 Legendary Photographer Terence Donovan 1936 - 1996. 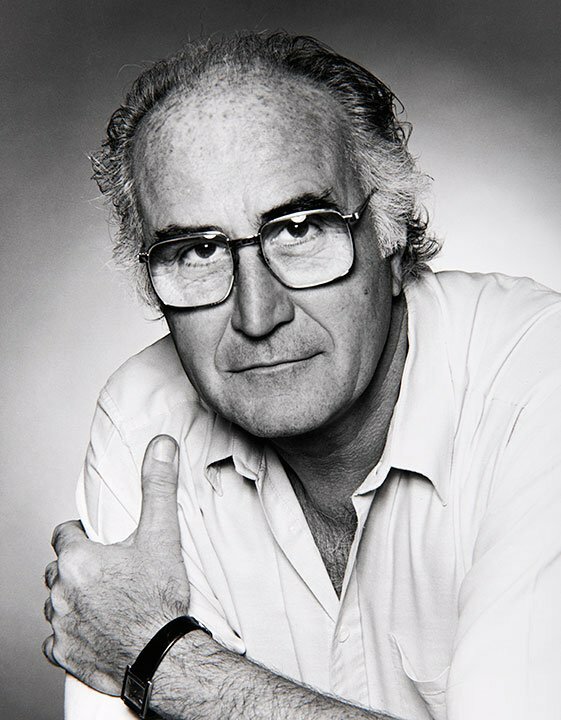 I worked with Terence Donovan on a number of occasions in the late 80's early 90's. He gave me a weeks wages as a tip one day. At the time he was photographing Ronnie Barker in London for a large production on a weekend when everything was closed in EC1, I was only 16 at the time and I was left single handedly responsible in the studio for such a production . I personally provided him, his crew and Mr Barker with a cooked breakfast, demands for the most comfortable chair for Mr Barker and a slight breeze for Mr Barker when he was resting whilst providing the normal studio assistance required. Mr Donovan had parked his convertible Bentley locally not knowing that he could have parked at the premises that weekend. I was informed to call him Terence and not Terry. I recall him answering the studio telephone with a dominant and intimidating "SPEAK". He would wear the same dark grey suit on every occasion but then discovered he had bought multiple of the same suit. His most important pieces were his light meters (several Minolta 3's at the time) which would be kept in the studio safe during his lengthy productions. I met Princess Diana's hairdresser (Richard Dalton) while working in Los Angeles, he told me that Terence once approached him quite apprehensively after Diana had arrived for a photoshoot asking where the F*** is the hairdresser. Mr Dalton delayed the obvious response for sometime then submitted he was the f*****g hairdresser..." I thought you were F*****g security replied Mr Donovan. His personal assistant when i knew him was Steve Galetely. 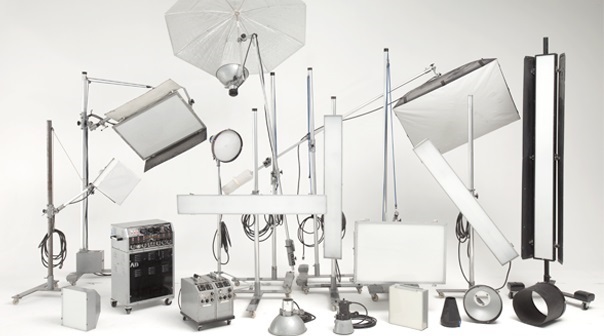 STROBE EQUIPMENT (London) Ltd was designed and built by Dave Cecil. Their workshops and sales/display studio in Station Chambers, Turnmill Street, London adjacent to the side exit of Farringdon Underground Station. STROBE EQUIPMENT (usually referred to as 'STROBE') was mostly used in London and every photographer worth his salt used or had them. A 5k pack was would cost approxametely £3k then. The studios I worked in had a unique bespoke 6k console. It was so important to demonstrate the use of these packs to young assistants. You had to use X first in its distribution as it had 1000k floating…if you didn’t and you use b or another selector output this would build up in X and then yes it would go bang as they often did. David Cecil was a keen yachtsman and the pulley arrangements on the stands reflected a nautical design. The early Fish Fryer (FF) and Super Fish Fryer (SFF) plus the Swimming pool (SWP) stands were constructed of large diameter gas barrell tube and fittings complemented by scaffold poles and parts. All their products could be custom made or altered to suit a photographers needs. The standard diffusion material on lights was 030 Perspex (PlexiGlass) the rope cleats on lighting stands, available from any yacht chandlers, as the cleat teeth wear out and there is a danger of the FF, SFF or SWP head slipping down. The units that most photographers in London would remember are the 1000 packs, 5000 consoles and the 824 so called “portable” location packs. The 1000 packs could be linked together to give 5000 Watt Seconds (Joules) through a 5000 W/S flash tube. Booster packs could also be added to the 1000 packs to reduce flash power recycle time - Lots of power was required to expose KR25 using a small aperture. Photographers predominately had a 5000 console, or two, or three plus an assortment of other accessories: 1000 packs, FF (Fish Fryer) SFF (Super Fish Fryer) and SWP (Swimming Pool). The units were painted with a grey 'Hammerite ' coating until about 1985 when they were finished in a black electrostatic paint. The 824 was a later addition to their range and intended for location work. It could be split into to parts for easier carrying but it still weighed something akin to a sack of coal. Be aware that each unit manufactured by STROBE Equipment is probably unique and has to be serviced using its own dedicated service manual and diagrams - unless you are John Kent of Luminary Lighting, London. He worked at STROBE in his youth and is probably the only guy on the planet who has the sanity and experience to repair this equipment. David Cecil always claimed that any competent TV engineer could repair his equipment. A fact that bears some truth to it but reflects a bygone era of valves and relay switches. The only other manufacturer of high tension electronic flash that I am aware of was BEE, made in Germany during the 1980's (sold by Keith Johnson, Gt Marlborough Street, London who also briefly acted as a STROBE agent), expensive, massive and beautifully finished but not as versatile or as hard wearing as STROBE. I understand the control panel of older 5000 consoles contains asbestos and can no longer be serviced. John Kent, Luminary Lighting, London. He once worked at STROBE EQUIPMENT and still repairs their units. He advised me that the trigger voltage was 400 volts on the older 1000 packs and 5000 consoles and 30 volts on the newer 5000 City and 824 location packs. Mechanical shutters have no problem coping with these voltages but I would advise using a slave to trigger STROBE units when using a modern digital camera. Keith Johnson Photographic (or Keith Johnson and Pelling (after taking over Pelling and Cross)) in Great Marlborough St. (bought out by Calumet) Keith Johnson was a major player in the photographic industry, sold out to Calumet in the 1995. He purchased a large vinyard I believe in the south and Ironically I recall he wanted to sell rolls of film to the visitors he had but was restricted in this by his contract on the sale of KJP to Calumet not to sell film in the future! Leeds Cameras in the Brunswick Centre. In my teens I remember driving Anthony Armstrong-Jones (Lord Snowdon) to this major photographic suppliers, while driving him in a Mini, he informed me that he had an input into the Austin Mini's window design. Leeds Cameras WC1 was a seriously professional suppliers run by Dave Halliday? It was not unusual to see the like of Bailey, Donovan and Lichfield there. Linda McCartney 1941 - 1998. She had her photographic offices in N1 known as MPL. Nick Clark her personal assistant at the time was my mentor/colleague in the mid 80's. I approached Nick when Linda passed away for some comments for the Sunday Mirror where I was Studio photographer at the time but Nick was loyal to the end.